Finding your career path is a difficult task regardless of what sector you may be in. However, there are steps you can take to put yourself in the best position to make a well-informed decision. And the sooner you do this – the better, because you can begin to hone in and make the best choices to get closer to where you want to be. This article will question you and allow you to begin to think about where your interests lie and how that will shape your future career. Let the search begin. You may have your eyes set on one particular path. For example, becoming a barrister or the solicitor route. But, it is so important that we are open-minded in our approach to finding a legal career path. If we simply ignore other possibilities, we may be shutting doors which could, in fact, lead us to where we want to be. However, if you have your eyes set on a particular field it is a good idea to find work experience or study modules based in this subject area. That isn’t to say you cannot to do work experience that you just find enjoyable. Think outside the box and see what experiences may have transferable skills that will be useful in the field you want to be in. Things like pro-bono and common volunteering are great opportunities to learn some transferable skills. Examples of these are as follows: learning to be a team player, critical thinking, reasoning and advising clients to name a few. 2. What Do You Enjoy? Whilst studying at the university there are bound to be modules that stand out to the rest. You may prefer the practical nature of a Dispute Resolution to the statute heavy content that is Land Law. It is necessary to think about enjoyment as we produce the best results when we are engaged and genuinely interested in the work we are doing. And who wouldn’t want to do what they love for the rest of their lives? Doing something you enjoy will allow you to identify your strong points and even more so, where you may be weak in some areas of your performance. Once again, we need to think outside of the box. Think of something you quite enjoy outside of your legal studies, you may find that there is a legal element to the subject at a fundamental level. For example, if you had a specific interest in sports, it would make sense to take reasonable steps to see how you can pursue a legal career in that industry. As cliché as it may sound to say do what you love. It makes you think closely about what work experience you should be looking out for. Say you enjoy technology and have good knowledge of technological advancements. You thoroughly enjoy this field. It would be rational to seek out opportunities that will allow to hone and demonstrate this in the legal sector. This is easier than we may think. It is so vital that we identify our strengths and weaknesses as soon as possible. The list above is an example of some the key skills needed for work. Everyone has their talents and is important that you know what yours are. Are you good at public speaking or perhaps you are a creative thinker who instills innovation into people who work with you? Immerse yourself in experiences that allow you to demonstrate your best skills. The same applies to your weaknesses. Practice makes progress. If you are currently not a very good public speaker, as hard as it may seem right now, putting yourself in positions where you have to speak to a crowd would be a huge step in the right direction. An example could be, perhaps you are a part of a pro-bono unit at your university, you could be the individual who does lecture shout-outs to rally people to come to your events or volunteer. In the competitive world of work, when it comes to getting opportunities, it may be down to who you know rather than who you know. Now, knowledge is power and you should always have the mindset to improve your commercial awareness. But, it is just as important to actively seek to grow your connections within your chosen sector. You must connect with your fellow students but also with professionals. They were also once students. It is imperative that we are exposing ourselves to the real world as much as possible. It is very easy to get complacent and feel comfortable and content about simply going to university lectures, workshops etc. We must get out of our comfort zone and into the hot seat. Professional network events are the number one spot for exposure – if done right. You have to go to these events with the mindset that I am going to speak to as many professionals as possible regardless of their career background. Of course, it would ideal to know who everyone was and what they do. But this will most likely not be the case and is all part of the experience. Once you are regularly going to events like this you may find that many of the people you have spoken with are willing to help you and offer you useful experience. People will always invest time in other people. If there is mutual respect, common interest, and progress as a result of your work ethic, of course, people will invest in you because – 1. You will be admired for your tenacity and determination and 2. You will be someone that they like to have around. The more you expose yourself to those settings the more at home you will begin to feel. And more often than not you will start to see more and more faces you recognise because you have been active in building your network. The more people you know, the more opportunities that are open to you. I personally believe mentorship is a product of good networking. There is no textbook way to find a mentor. And this is to your discretion. A mentor should be someone preferably who is in the same sector as yourself and is able to give you bespoke advice based on your strengths and weaknesses. Ideally, this individual would be able to meet with you regularly and encourage to seek out opportunities and build your own personal brand. Mentors are known to open doors for their mentees that they would otherwise not have access to. These are some of the perks. Mentorship is great because it allows you to have a role model. Something to aspire to and give you a clearer understanding of where you could possibly be in the future. What you want is someone that can guide you and give you tips on how best to go about your career path, things to consider and perhaps ought to be wary of as you pursue this career. Having a mentor allows you to ask all the questions you have been dying to ask about finding a career in this field. This also serves an opportunity to feel comfortable in an interview style setting. Work Experience and Vacation Scheme is a bread-and-butter issue for law students. It is a must but a bit of a conundrum at times and difficult to find. Finding amazing work experience is a bit of a needle in a haystack. You can make these easier for yourself. You miss 100% of the shots you do not take. You need to be in a mindset that you will apply for as many opportunities as possible. This way you are improving the learning curve and success rate. Now that you are in the mindset of applying, what should you look for? Go back to your interests and your strengths. You have an interest in media and entertainment? Look for firms with a media law team and see if the firm has vacation schemes. If not, seek to find a contact within the firm, you can find individuals on LinkedIn, otherwise, you can find emails on the firm’s page. You can send an email stating your interest and how you would benefit from this opportunity. Be sure to state some of your strengths and some of the things you actively doing to pursue this career path. Vacation schemes, in particular, are applied for late in the year for the next following year. It is worthwhile to apply early to avoid disappointment. If this isn’t something you have done before set yourself some targets. Perhaps search up to 10 law firms and narrow them down to your top 5 and send bespoke applications to each one. This is an example of how you can demonstrate your determination. By going out of your own way to gain access to great experiences. Researching into the firm you are applying to may seem obvious but many students fall short from not doing so. It is so important that you are familiar with the ethos and sector that the firm is focused on. Some firms may have more of a focus on financial services whilst others may be focused on more niche areas like personal injury. It is important to know the various seats that could be possibly available at a firm especially if you are considering things long-term, for example, pursuing a training contract. The other obvious option is to simply check the firm’s website if they have one. Firms may even have blogs that may give you further insight about some of the business the firm deals with or interesting developments at the firm which could very well come up in an interview scenario. I recommend reading around the area of law the firm deals with, especially from a commercial standpoint and how current affairs might affect how the firm works, for example, Brexit. This will demonstrate your commercial awareness and ultimately show that you are serious about working with the firm. It would also be worthwhile to see what else may be written about the firm for other perspectives. You could perhaps read news articles and research other organisations that may be associated with the firm. Perhaps the firm works closely with the local community. Things like this give you more to discuss and show the greater scope of knowledge of the firm. It is not always best to state the obvious. Some firms have a great Corporate Social Responsibility Schemes which will involve things like pro-bono and charity work. See if the firms you are interested in being involved with such schemes. But be quick. Vacation Scheme spots are limited and highly competitive! Pro-bono literally means for good in Latin. It is a symbol of a kind gesture and a belief in helping others. People share their knowledge of the law with people who otherwise would not have access to it. Pro bono work is a great cause and most universities have some sort of pro-bono work going on. If not, do contact your local law center to see if you assist in any way. Any exposure to the law is useful and may help you as a CV boost to show that you have been active. This will act in your favor when applying for more niche areas on the law. Pro-bono provides you with insight into the law and provides you with the fundamentals needed to work with clients. Creating blog posts or video entries about your experience studying law degree is a great idea. Not only is it helpful to your peers but it also demonstrates your ability to communicate. Recording yourself for video is no easy task but doing so shows that you are a versatile individual and someone who cares about their personal brand. It is important that you are selling yourself and showing your skills. As you do this you will notice that you are developing and will definitely gain opportunity from doing so. Being a content creator allows you also to develop your network. You will soon find other content creators with similar ambitions to yourself. You will be able to collaborate on content and this may lead to other opportunities such as networking events or work experience. LinkedIn is a great example of how people begin to develop a personal brand. As you continue to build on your experience, sharing your experiences with your network allows to broadcast and have a platform to demonstrate your skills and determination to achieve. This what law firms look in a candidate. Someone who thinks outside of the box is driven and will do what it takes to succeed. I hope this article has been helpful and has given you insight into finding your legal career path. I wish you good luck on your journey. I would recommend returning to this guide from time to time to see if there is anything you could work more on. It is so important that throughout your journey from to student to legal professional that you are focusing on your successes and how you can improve from your failures also. Remember to have a growth mindset reinforced by a brilliant work ethic. Think “I will succeed.” and be consistent in your endeavors. Lastly, always, always follow up on a recent connection. Thank you for reading and let the search begin! Why We Need to Turn Our Attention to Legal Aid? Young Law Scholar Celebrates 1st Year! 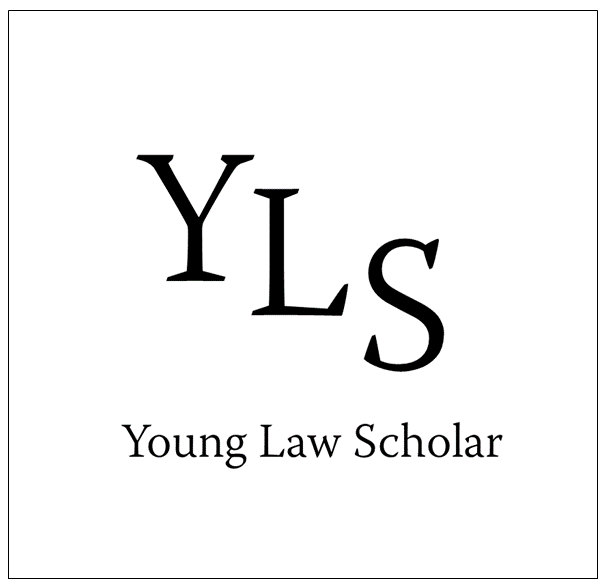 What is Young Law Scholar? Become a Free Member of the YLS and recieve notifications !